To make an order for cards, please click the home screen to shop from our inventory. Once you find the item that you would like to sell, add it to your cart. Make sure you are in buylist mode noted by the "You are currently browsing our buylist" banner at the top left of the page. If there are cards you can't find on our buylist, and you don't feel that they are bulk, email us at buyer@capefeargames.com. We will get back to you as soon as possible. IMPORTANT: If you are submitting a large quantity buylist of more than 100 items, we suggest that you stop submitting items once you have reached a quantity of 100 in the “Shopping Cart”. Complete that current buylist. Then submit the rest of your items in another buylist. This keeps the website client from being overwhelmed by the size of the buylist for when you are trying to submit and also when we have to process it. Doing the process this way makes it so we can grade and complete it faster and have you paid sooner. Once you have submitted all of the items you would like to sell, click the cart icon and then click checkout. You will be asked to login to your Cape Fear Games account if you haven’t already. If you do not have a Cape Fear Games account, you will be required to create one before proceeding. Creating an account is free. Once you have arrived at the “Checkout” page, place your buylist in the order that it appears on this page. The first card being at the top of the page and the last being at the bottom of the page. 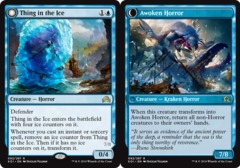 Be sure, also, that the cards are from the correct set and are of the same edition (1st edition, Foil, Promo, etc.) as portrayed in the buylist. · PayPal; PayPal charges a 3-5% fee for using their services. · Check; Checks are fee-free, can be mailed within the United States, and have a $10 minimum. Checks are processed through our bank and may take up to 5-7 business days (excluding holidays) to arrive. · Store Credit; Choosing the Store Credit option receives a 25% bonus to the cash total for the buylist. You can use this credit to spend on anything on our website or anything in-store. · MTGOTraders.com; If you are trying to receive credit to MTGOTraders.com, select the payment method “PayPal” or “Check” and leave a message in the “Comments/Instructions” box saying you would like MTGOTraders.com credit. 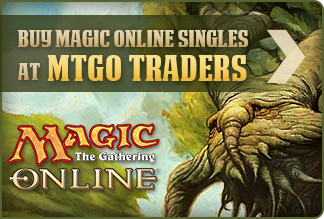 For MTGOTraders Credit, you will receive a 20% bonus. · If you are trying to seek an International payment method outside of the above listed, contact us and we will try our best to accommodate you. Fill out the necessary information we need to know for your payment method. Leave any comments or special instructions, such as wanting to be contacted after grading but before payment is completed, in the “Comments/Instructions” box. Click submit buylist. If you are bringing the buylist in-store, you do not need to wait for an approval email or worry about shipping it in. You may just bring it to the front counter after you have submitted the buylist. Once we have approved your buylist, you will receive an Approval Email. If you do not receive this email after one business day, email us at buyer@capefeargames.com after checking your Spam folder. You will need to be sure that the buylist is in the same order as the email. You will need to print out the Approval Email and package it with the buylist. We require you to remove the cards from sleeves prior to shipping. When packaging a buylist, you are responsible for how the buylist is packaged and how secure it is within the packaging. We do not recommend letter envelopes or binders. 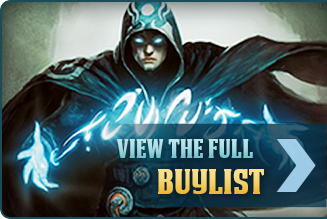 We would suggest putting the buylist in some sort of deckbox and then putting that within another box. Clear, plastic deckboxes have been known to break or shatter in transit, so do make sure to consider this when choosing what to put your buylist in before mailing it out. Once the buylist has arrived, we will mark it as “Received” and grade it. After grading is complete, you will receive an email with how each card was graded and the new total of the buylist. We will then pay you via the chosen payment method. Cape Fear Games will make all efforts to send payment for the buylist the day the buylist is received, Monday through Friday. Situations outside of our control may delay payment. If the buylist arrives sorted in any order other than the way it is listed on the confirmation email it will result in a $5.00 plus $15.00/hour fee to sort the buylist. If a counterfeit card is received with a submitted buylist, the item will be destroyed and the seller notified. Counterfeit cards cannot be returned by mail but can be picked up in-store. If you have any questions, email us at buyer@capefeargames.com. Buylists submitted in-store after 9:00 PM, Monday through Saturday, or after 8:00 PM on Sundays may be processed the following business day. Cape Fear Games does not issue cash payments after 8:00 PM. Payment methods offered after 8:00 PM include check, store credit, and PayPal. If cash is preferred, payment will need to be picked up the following business day, before 8:00 PM. For cash payments larger than $500 we will pay what we can in cash (starting at $500) and issue a check for the remaining amount. Cape Fear Games may withhold processing a submitted buylist until the following day or until a Cape Fear Games Buyer is available. If you have a collection you are trying to sell to us, you will need to call or email and setup an appointment in advance with one of our Buyers. Otherwise, we may not be able to have a Buyer meet with you. · We do not buy foreign or signed cards. 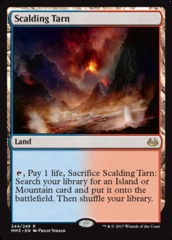 There are some exceptions such as Foreign Black Bordered Dual Lands, Italian Legends, and other high-end staples. For foreign or signed cards over $100 send us an email to buyer@capefeargames.com and we may be able to work something out. · For older Magic cards, the payment percentages will vary greatly from Near Mint to any other Played Condition. 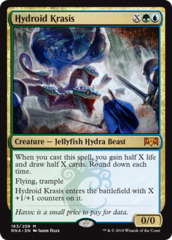 Contact us if you have a large quantity of these older Magic cards at buyer@capefeargames.com and we will be happy to accommodate you. · All bulk items must be arranged facing the same way and in rowed card boxes. · If the bulk is not NM we may refuse it or pay 50% of the bulk rate. · All bulk items must be arranged facing the same way, separated by rarity category (commons separate from rares) and in rowed card boxes. 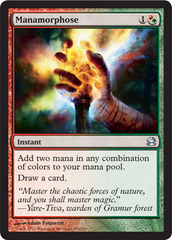 · NM Commons/Uncommons, $25/1,000, does not include Energy Cards (Must be NM). · NM Promo or Rare, $0.02 each. · NM Holo Rare, $0.08 each. · NM EX/LV X/Prime/Ultra/Secret Rares $0.50 each. Cards in Near Mint/Mint condition show no signs of play or wear. Near Mint/Mint foils will have no clouding on the front. Cards in Lightly Played condition show signs of shuffling and play wear. Edges may have chips or nicks and minor scratches. Corners can show minimal wear. Slightly Played Foils will often show some clouding on the front. Cards in moderately played condition shows obvious wear but are still legal for tournament play if sleeved. Shuffle creasing, hairline creasing or whitening on most edges will make a card Moderately Played. Cards in Heavily Played condition show major whitening, creases, very light permanent marker (commonly used to “clean up” borders) or very light water damage. Heavily Played cards will have whitening along most edges on both sides of the card, and corners may be frayed or heavily rounded. Cards in Damaged condition will show signs of physical deformation such as, tears, punctures, extensive water damage, or any sort of heavy pen/marker that is not a signature. If the card’s structural integrity has been compromised through the above listed defamations or through long-time play/wear, this will also qualify it as Damaged. Cape Fear Games reserves the right to refuse any buylist at any time and for any reason. Card prices change daily. Buylist items not received within one week of their submission date are subject to price changes. Buylists will be removed from our system after one month if not received. 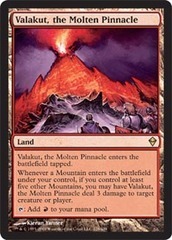 We are always interested in original magic artwork or other magic related items.